On Wednesday 22nd August at 2.30pm we are delighted to welcome back Sue Hendra and Paul Linnet! 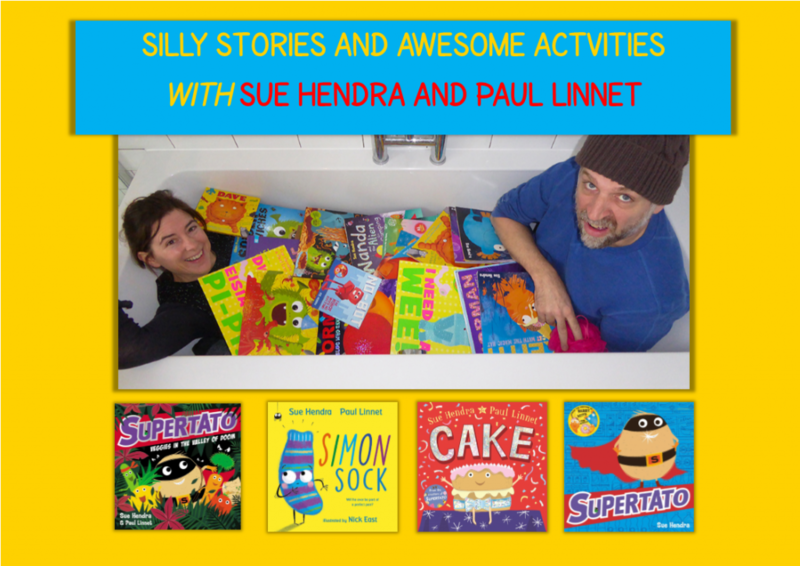 Sue and Paul are the dynamic duo behind a string of best-selling picture books – from Barry the Fish with Fingers, via Dave the Farting Cat, to the hit Supertato series, their books are full of colourful craziness and are guaranteed to raise a chuckle! Sue and Paul will entertain children in the bookshop garden marquee with silly stories, awesome activities and maybe a song or two for good measure….suitable for ages 3 – 8, although this is just a guideline. Advance booking recommended. Tickets £4 per child. Free refreshments included.